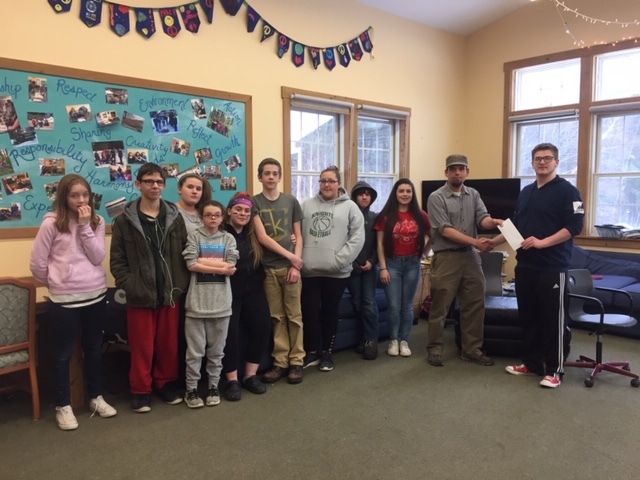 The Kingswood Youth Center – Thank You to the Leos of the Wolfeboro Lions Club! We want to say a big thank you to the Leos of the Wolfeboro Lions Club. These teen members of the Lions raised money to support the mission of the KYC. Yesterday they visited our after-school program and presented their contribution. We also got to learn about some of the great things done by the Lions Club and the Leos. Thank you Leos!